Flying a plane gets a bit more difficult when it snows or freezes outside. That’s because all the snow ends up on our runways, and on the planes. The runways start to freeze over and become slippery, and the aircraft can freeze – which is what we do not want. 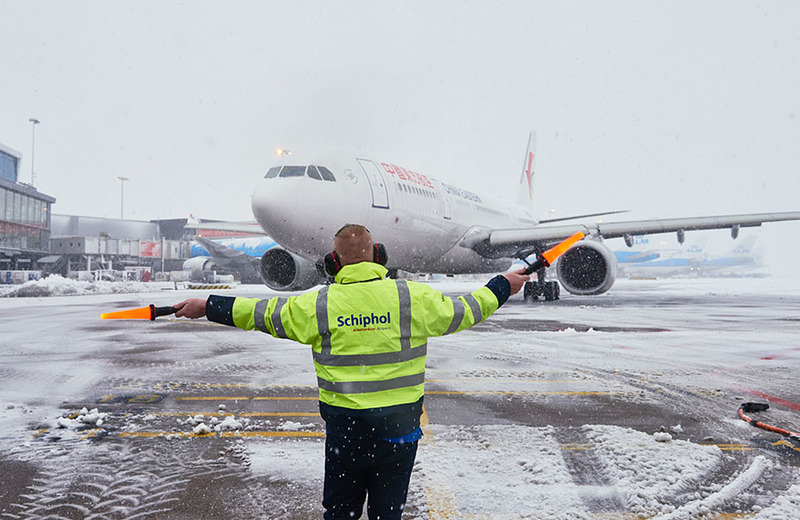 A lot has to be done at Schiphol to ensure that you can always fly, even with winter temperatures. We naturally keep a close eye on the weather forecast. When snow or frost is predicted, we call our snow team. That means we can get started as soon as the first snowflakes fall from the sky. We need almost 5x as many employees on airside, where all planes take off or land, when it's snowing. Of course, snow or ice on the runway is no good! Aircraft receive a cleaning before they leave to remove all snow and ice. We call this process ‘de-icing’. To deice an aircraft, we heat a mix of water and antifreeze liquid to 70 degrees celsius. That liquid is then sprayed onto the aircraft. You may already have seen that process for yourself if you flew somewhere during winter. 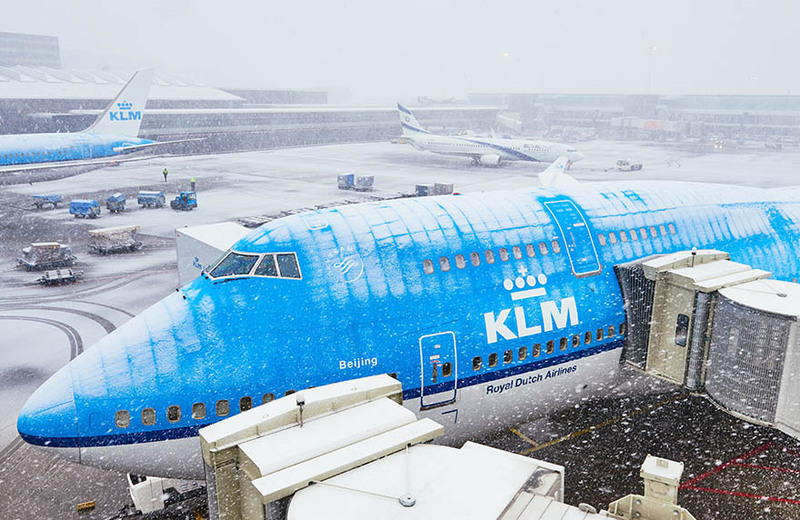 De-icing takes place at a special parking place while all travellers are already seated on the plane. Once it’s done, you can fly! The airport polar bears operate in winter – and by that, we do not mean animals! 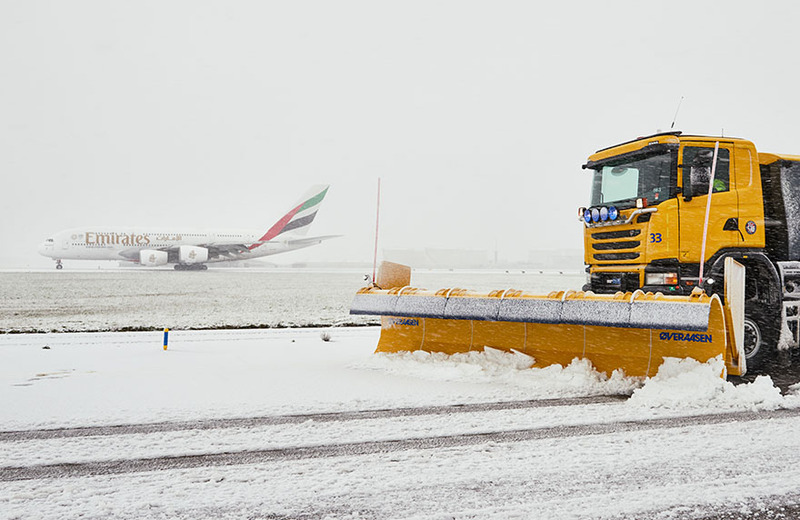 The ‘polar bears’ are Schiphol employees who normally work in an office, but provide extra help by driving snow trucks when it’s snowing outside. They take a special course to learn how to do it, because the vehicles are very large and difficult to manoeuvre. You can compare them to driving a huge truck, which is quite different to driving a normal car.